Last week, James Kisner of Piper Jeffries sparked renewed interest in the long-rumored Apple TV with claims that the release of the Apple TV was “imminent”. The last few months have seen a bounty of new Apple products hit the market, including the iPhone 5, iPad Mini, the new iMac and 13-inch Retina MacBook Pro. With the existing supply constraints and manufacturing issues with the iPhone 5 and the LCD displays on the new iMac, it’s hard to believe that Apple would be in a position to push a product like the Apple TV to market. Apple TV rumors have had a spotty record to date, with a different Jefferies analyst reporting back in August that the “iTV” was already in full production. At that time, it was believed that Apple would be partnering with AT&T and Verizon to bring the Apple TV to market at a price of $1250. It was suggested that separate set-top boxes for the Apple TV would be sold for content providers, such as Comcast, as an alternative to using a wireless network for content. 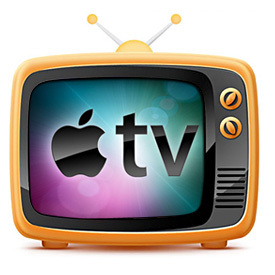 It’s been widely reported that Apple’s biggest obstacle to entering the television market with the Apple TV or iTV isn’t the technology, but rather the cable and content companies. The content makers themselves have exclusive deals and restricted content distribution rights with cable companies, which may severely hamper Apple’s efforts to get a slice of the TV pie. An Apple TV would also need to be a vastly different product to the current range of portable devices. People don’t usually upgrade their TV’s every year, and with the substantial barriers exist in the market the Apple TV may be less lucrative than anticipated.